Successfully Added Wireless Night Vision Baby Monitor - VOX Two Way Audio, Motion Detection, 7 Inch LCD Screen to your Shopping Cart. 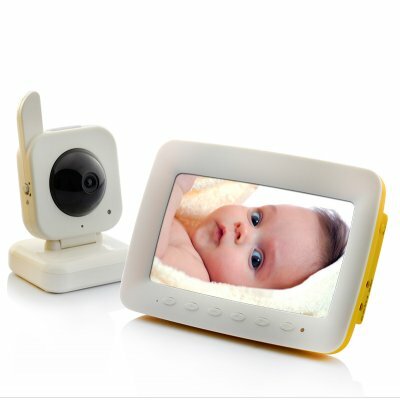 Wireless Nightvision Baby Monitor with VOX Two Way Audio and 7 Inch Large Screen lets you watch over your baby, know what is going on in your baby’s room and even listen and talk to your baby but without the need to physically be on his/her side. 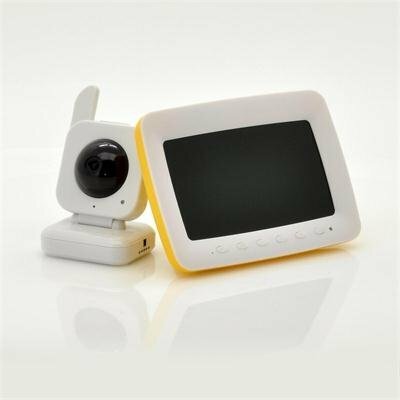 Place the remote-controllable monitor in your baby’s room, and you are free to do some house cleaning, work on the garden or even watch a movie because you can see your baby from the 7 Inch LCD monitor at crystal clear 480x234 resolution, as well as listen and talk to your baby. Its IR night vision provides a bright night view of your baby to make sure you can keep an eye on him in low light conditions or at night. VOX (Voice Over Exchange) feature will allow the baby monitor to be off and automatically activate only when your baby or his/her surroundings create sound. This saves you battery power and helps the monitor to last longer. The motion detection feature will also allow you to see and hear your baby whenever there is something or somebody moving. If your friends or family have a child, then buy one for them as the perfect gift to show them you care. It is very easy to use and install. Don’t need other software, just place the camera in view of your baby’ area and turn it on. You can even pair up to 4 monitors to one display screen, if you have more than one baby to take care of at the same time. This baby monitor is now in stock for immediate shipment worldwide. Order now and get it within just a few days wherever you are. Brought to you by the leader in wholesale electronics, Chinavasion. The resolution is decent and in full colour. The speak quality needs improvement though. Its got a very rich look and feel.